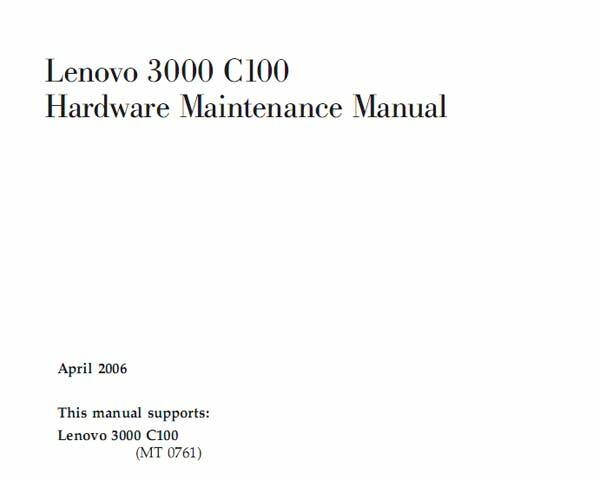 Home » Service Manual Catalog » LENOVO Service Manuals » 3000 Series » HMM_LEN_C100 I have paid for Reset Key but not received yet. This Service Manual is designed for experienced repair technicians only and not designed for use by the general public. This HMM contains information regarding hardware installation and removal; diagnostics and troubleshooting; hardware interfaces; and service (FRU) part numbers.